Elderly widower Chin-mao (Hsiao Hou-tao) lives alone in his family house in Pingxi. When a painful accident sees him admitted into hospital, his middle-aged children begin argue over whether or not to send him to a nursing home in Taipei. Chin-mao, however, stubbornly wants to spend his final days alone in Pingxi. Dad’s Suit is the feature directing debut of Taiwanese writer/director Hung Po-hao. It is a low-key film that is small in scale and intimate in tone. It is also arguably low in ambition: there is something much too familiar about an ill-tempered octogenarian struggling with his adult children’s attempts to get him out of the way and into full-time care. While may be some novelty for English-speaking viewers in seeing it play out in a foreign setting, it still ploughs a well-furrowed subject matter and fails to reach any new conclusions. We have seen variations of this story before; we will undoubtedly see variations of it again – most likely via TV movies of the week. While there is a depressing over-familiarity to the story, Hung pulls some impressively strong performances from the cast. While the characters are well-worn archetypes, they are also scripted and performed very well. Events play out in a predictable manner, but they also play out with a engaging level of depth. Altogether it is a modest but charming film. At its centre stands Hsiao Hou-tao in the lead role of Chin-mao. The film introduces him in an understated fashion: an elderly neighbour has just died with Chin-mao reacting stoically from his front window. He is effectively waiting his turn. He spends his days quietly, mostly pottering around his garden and vegetable patch, and largely in solitude. Hsiao is wonderfully engaging in the role with a charmingly cantankerous manner, and as his children try to convince him to accept more care his constant resistance makes him all the more likable for the audience. While King Jieh-wen is an effective player as son Yi-Cheng, Phoebe Huang is sensational as Yu-chen, Chin-mao’s protective and overly invested daughter. Her performance is heartfelt and emotive, and deeply touching. You get stand-out acting like this from time to time: the film itself is mediocre, but one key performance out-classes and over-delivers compared to all the other elements around it. While it is not quite enough to overcome the ordinary premise, it does provide an entertaining compensation for the film’s lesser qualities. I am keen to see Huang in some other films given the strength of her acting here. Dad’s Suit is the difficult kind of film to review. Nothing is particularly original. Nothing is particularly poor. It is passably entertaining, but ultimately unnecessary. Fans of small-scale domestic drama, particularly those from a Chinese culture, will find the film entertaining enough – but should ask whether ‘okay’ is actually worth to time it takes in viewing. Continued, it is a Taiwanese movie about Taiwanese culture and it wasn’t made for white foreigners. It was made for a domestic audience and it resonates with Taiwanese viewers. Taiwan is not part of prc commie China, sir. Take off your Aussie blinders. Hi Danny, thank you for taking the time to comment even if you disagreed with and disliked my review. As you know from my review, I thought it was a well-made film but simply lacked anything that to my mind made it stand out from the crowd. I have seen a great many Chinese language intimate dramas over the past few years, and I personally feel it’s getting tougher for one of them to make an impact. As for any Australian parochialism in the review, I am an Australian critic writing for an audience that is overwhelmingly Australian and American. Given Dad’s Suit lacks a sufficient hook on it’s own merit, I think it’s only worth that audience tracking it down if one is particularly interested in watching cinema from the Chinese diaspora, whether the PRC, Hong Kong, Macau, or Taiwan. Hi Grant, thanks for your generous response and I appreciate your take on all this. I hope we continue this chat by email or here, and I like your approach to movies and to responding to readers of your reviews. A few notes to begin: GRANT: “I have seen a great many Chinese-language intimate dramas over the past few years, and I personally feel it’s getting tougher for one of them to make an impact.” DANNY: I understand and see that you have an interest in Taiwanese movies and you are right, it *is* getting tougher for any of them to make a real impact either in Taiwan among Taiwanese audiences or overseas in Japan or Hong Kong or Communist PRC China and other foreign venues, especially your native Australia and my native USA. ……BUT Grant, reviews like yours here of ”Dad’s Suit” don’t help create a market at all or offer encouragement to either Taiwanese directors who are under constant threat from Hollywood crap that is shown in Taiwan’s theaters 24/7 for the past 20 years and on TV channels here…and offering encouragement to Taiwanese readers of your reviews who are also movie fans and who need some encouragement from foreign reviewers. not just a thumbs down all the time. Answer me that. This falls into the question of what film reviews are for. There’s an argument I do appreciate that no one should ever publish bad reviews, since they can adversely affect a movie’s commercial chances (or a book’s, or whatever). I prefer to be honest and let readers come to decide whether or not they share my tastes. Then they can come to realise, for example, if they hate my opinions most of the time, they can either find a better reviewer or even use me the opposite way around: if I hated it, it might be more likely the reader likes it. AND part 2: RE: ”As for any Australian *parochialism* in the review, I am an Australian critic writing for an audience that is overwhelmingly Australian and American. 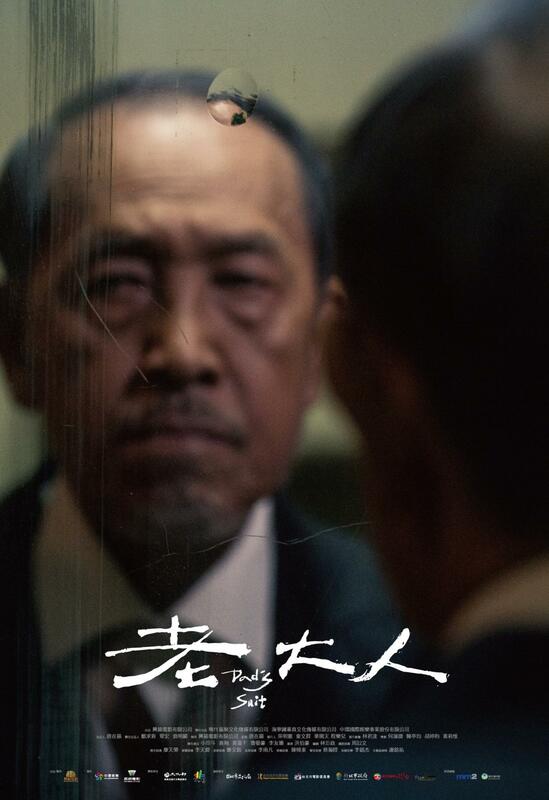 Given that ”Dad’s Suit” lacks a sufficient hook on it’s own merit, I think it’s only worth that audience tracking it down if one is particularly interested in watching cinema from the Chinese diaspora, whether the PRC, Hong Kong, Macau, or Taiwan.” OUCH. Let me respond gently, and you can agree or disagree and I like a good chat with a critic like you with an open mind and a reporter like me with an equally open mind. DANNY REPLIES: Yes, you *are* an Australian critic writing for an audience that is overwhelmingly Australian and American. [But why are you even reviewing movies white people in those two nations will never see or even care about? Answer me that.] And since you live 24/7 in your own Australian bubble and have never lived in Taiwan for more than a week at the 2018 Golden Horse Awards in Taipei as a FICRESPI jurist that year, how can you ever pretend to think you understand Taiwanese culture or movie culture? I’ve lived here 25 years and I still don’t understand it all. You insist in your white privilege racist view of Taiwanese culture that ”Dad’s Suit” lacks a sufficient hook on it’s own merit. But Grant, sufficient hook for who? I saw the movie yesterday in a movie theater in southern Taiwan and I was the only non-Taiwanese in the audience because I have an interest in Taiwanese cinema and Taiwanese culture, especially of the elderly people here and their folkways, and in the theater local Taiwanese were crying at many of the scenes and also laughing out loud at some of their humorous scenes among the old man’s family and at the senior citizen’s home, and I had tears coming down my cheeks at several key points of the movie, too. You should realize that your reviews appear online in English and reach Taiwanese readers too and how do you think your unthoughtful and unkind words make them feel? Do you also treat the Aboriginal people of your nation this way,as being inferior to your superior white man’s intellect and critical movie eye? Come on, mate. You’re a good writer, and Taiwanese deserve better from you. Think about it, is all I am saying. Also, Grant, you say you are interested in watching cinema from the Chinese ”diaspora,” whether the PRC, Hong Kong, Macau, or Taiwan. There is no Chinese Diaspora. Taiwan is *NOT* part of PRC China and never has been. Go ask Clive Hamilton, your countryman. Taiwanese culture is as different from PRC China as the USA is from Australia. What, do you lump all so-called yellow people in big diaspora? Come on, mate, that is simply not the case. Singapore movies follow their own culture. Same with HK and PRC, Malaysia and the Philippines. Okay, enouh said, over and out. Next time you review a Taiwanese movie you don’t like, and that is okay if you don’t like a movie, but think of the Taiwanese film directors, film critics and movie goers in Taiwan who will be reading your unkind words too. Maybe next time you won’t be so unkind and be more empathetic instead. Empathy, man, empathy. That is what art is all about, no? Show some respect. I am well aware of Taiwanese history, and am also aware that there is a shared film culture between nations (not to mention an awful lot of swapping back and forth between China, Taiwan, and Hong Kong in both on screen talent and crew). They share religions, traditions, myth, history, and so on. Take modern wuxia cinema, which originated in Hong Kong, was developed into its contemporary form in Taiwan via King Hu, and remains a popular genre in the PRC. You are seeing racism where I maintain none is there. You also seem to ascribing a weird malice on my part towards what I would argue is a relatively ordinary film. And why review it? Because there is precious little reviewing of North Asian cinema by independent English language critics. I stand by my review and think it’s fair. Fair enough, Grant. I will modify my earlier remarks and answer you this way re YOU SAY: ”I am well aware of Taiwanese history, [DANNY: from books only? Have you ever lived there 24/7 for a 5 years or so?] and am also aware that there is a shared film culture between nations (not to mention an awful lot of swapping back and forth between Commie dictatorship PRC China, democratic Taiwan, and one country two systems Hong Kong in both on screen talent and crew). DANNY: ”TRUE, good point”.] They share religions, traditions, myth, history, and so on. WAIT! NO THEY DON’T. TAIWAN IS NOT PART OF PRC CHINA. Take that back, Grant!] Take modern wuxia cinema, which originated in Hong Kong, was developed into its contemporary form in Taiwan via King Hu, and remains a popular genre in the PRC.- TRUE GOOD POINT! I don’t know what to tell you. I think it is unfortunate that you don’t believe I know Taiwan is its own independent nation, having a direct line of political rule back to the Republic of China via the KMT, but that’s on you. I also think it’s unfortunate you don’t see the benefit of a critic reviewing foreign films. It’s a global industry. I think it’s important to watch a broad range of cinema to fully experience the art form. I think it’s ridiculous not to acknowledge the shared film language and style between China and Taiwan, since Golden Horse does such a spectacular job of celebrating precisely that: a family of Chinese language screen communities. It is actually possible to celebrate shared culture of separate nations. It is also possible to say that a film is well-made, well-performed, and ultimately too much like numerous other films to stand out from the crowd. I think that about wraps it up. I’ve got nothing else to say. I guess Grant is too busy for final reply. I was hoping for final clarification. Grant, you still there?